How A Beetle And A Mountie Shaped The Ad Business Ad man Terry O'Reilly is behind the Canadian radio show and new book The Age of Persuasion. He uses his insider perspective to dissect the world of advertising. Take one look at the cover of Terry O'Reilly and Mike Tennant's new book The Age of Persuasion: How Marketing Ate Our Culture and it's obvious the publishers are going for that Mad Men appeal. But unlike the fictional 1960s ad men of that TV series, O'Reilly and Tennant are the real deal. They've been in the business for decades, and in recent years, O'Reilly's taken to sharing the secrets of the ad world on his Canadian radio program also called "The Age of Persuasion." "I've been in focus groups, very interesting, where you'll have six or seven or eight diehard beer drinkers," O'Reilly tells NPR's Guy Raz. "They'll say, 'I only drink,' and they'll -- whatever it is -- 'Budweiser, everything else is terrible, it's crap, I only drink Budweiser.' Then, you bring in a tray with beer and all the labels pulled off, and they can't find their brand." There are some exceptions, O'Reilly says -- craft brews, for example -- but in the mainstream categories, it's all image. "You drink the label and you smoke the advertising," he says. Advertising wasn't always this way. O'Reilly recounts a turning point at the beginning of the 20th century when a Canadian Mountie named John E. Kennedy approached Albert Lasker, a junior partner at one of the biggest agencies of the day. "He said, 'I have the secret to advertising, and I know you don't know it,' " O'Reilly says. The secret? "Advertising is salesmanship in print." Before that, the standard approach to advertising was strictly informative: An ad would reveal how much a product cost, where you could buy it and what it did -- but not much else. These days, of course, emotional and humorous appeals are the norm, and O'Reilly is never left wanting for material to cover in his CBC radio show. If anything, he says, there may be too much advertising in the world. "We are the only industry, I think, that creates our own problem in that we create so much clutter, and then we spend every waking hour trying to break through it," he says. A few decades back, Texan Claudia Alta Taylor Johnson gazed down the highway and didn't like what she saw. Billboards blocked her view of the plains, of the distant hills, and of her beloved wildflowers. So she complained to her husband, President Lyndon Baines Johnson, who prompted Congress to pass the Highway Beautification Act, which placed limits on the spread of posters— or billboards as they're popularly known— and preserved the views that Lady Bird Johnson loved so well. Billboards are known as posters in the ad business. The term dates back centuries, to a time when printed ads were attached to public lampposts. The term billboard comes from the Middle English word bill (which refers to a written document). North American cities, posters began littering the visual landscape. Most inflicted only a passive assault on the senses, and they rarely blocked anyone's view of anything but lampposts and buildings and construction barriers. In a few storied cases, billboards and large, busy signs have actually defined a place. In Times Square, for instance, signs and billboards embody the reputation of that locale as a bastion of money, power, and consumerism. 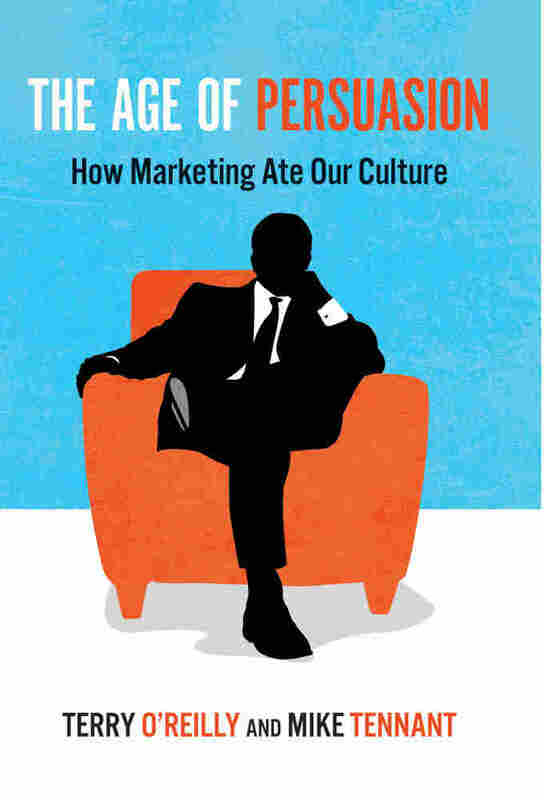 It's a remarkable manifesto because its author is the legendary advertising mogul David Ogilvy. Throughout his career, he railed at large outdoor posters. Also quoted in Ogilvy's rant is then governor of California, Pat Brown, who observed: "When a man throws an empty cigarette package from an automobile, he is liable to a fine of $50. When he throws a billboard across a view, he is richly rewarded." Billboards are a symptom of a large, growing problem in the age of persuasion. While much of the work is highly creative, it, like many other media, must figure out a way to honour an implicit contract between advertisers and consumers which, simply put, promises that advertisers must give you something in exchange for their imposition on your time, attention, and space. An ad might offer useful information, an insight, or a solution to a problem. It might help pay for the TV show you're watching or the magazine you're reading. It might simply entertain you. The key is that it offers some tangible benefit. Your job as a consumer is to discern which marketers are keeping their end of the bargain and which are not. With that knowledge, you'll have the power to reward the honest brokers and punish the transgressors. I suspect few people realize they have that power, but they— that is, you— really do. A simple letter of complaint to a brand's corporate headquarters can have a profound effect: I've seen major campaigns radically altered in response to a handful of complaints. On a larger scale, consumers can— and do— vote with their wallets. Palmolive. Inspired by its success, Lasker quickly embraced the new medium on behalf of other clients. NBC president Merlin Aylesworth didn't believe in radio advertising as you hear it today, but preferred that sponsors (a word not yet invented in the late twenties) be mentioned before and after a program with a passing phrase like "The following program comes to you through the courtesy of Lucky Strike." Lasker thought differently: he reckoned that in exchange for underwriting a broadcast, brands should be offered an opportunity to present the sort of "reason why" advertising they did in print, but adapted for sound. Instead of parcels of space, they would occupy parcels of time. And that is how the broadcast "commercial," as it came to be known, was born. In solving a problem for his clients, Lasker provided the economic model radio had been struggling to find: big- name advertisers could provide big money to underwrite high- calibre entertainment for a mass audience. The bigger the audience, the greater the value to advertisers, and theoretically, the more they would pay for production. Radio would provide top- rank entertainment, but it would not be free. Listeners would pay by allowing themselves to be exposed to an ad. It seemed just the right fit in a world of compromise. You want to go camping? You tolerate mosquitoes. You want to fly? You tolerate airports. You want Groucho Marx in your living room? No problem, provided the nation's three thousand Plymouth– De Soto dealers can tag along. And there it was: The Contract. Sponsors gave programming, and in return, they took some of the listener's time and attention. It was Lasker, working for his client, Pepsodent, who introduced a network audience to Amos 'n' Andy. Today the prospect of two Caucasian actors in nineteenth- century minstrel blackface would cause marketers to squirm, but in 1928 it posed a very different problem: as strange as it sounds today, clients feared that two African-Americans (faux or otherwise) might sully the image of the toothpaste. After the sponsor's enormous initial success, Pepsodent sales eventually began to slip and Lasker theorized the problem wasn't the medium but that the brand relationship with the Amos 'n' Andy audience was tired. Lasker's son Edward suggested that Pepsodent shift its sponsorship to a show built around a clever young comedian, and so began The Pepsodent Show Starring Bob Hope. Bing Crosby also acquired his first big network exposure on a Lord & Thomas show, and L&T was a major player in the early soap operas: in fact, soaps pioneer Frank Hummert had been L&T's chief copywriter in New York in the 1920s. L&T dominated network radio in those early days. In the first four years the networks operated, the ad agency purchased 30 percent of all network time in the United States. It was Lasker programming that pioneered the "double broadcast," where a show was performed first for the eastern time zones and later for the western time zones. In one remarkable year— during the Depression yet— L&T recorded $50 million in billings— well over half a billion of today's dollars. When television took off in the 1950s, it suffered few of the birthing pains that radio had; Albert Lasker had provided a readymade economic template. At the same time, the postwar economic boom gave consumers enough cash to buy television sets, and as TV viewership grew, the value of its audience became increasingly attractive to advertisers. Sponsors lined up to pour fresh buckets of money into the new medium. A large part of the attraction was the "mass audience" experience of the new medium; like radio, it drew millions of people to the same event during the same time span. The morning after a broadcast, it seemed that the talk was all about what "everyone" had been watching the night before: Ralph and Norton's latest get- rich- quick scheme or which dress Uncle Miltie wore on Texaco Star Theater. It was the shared experience, as much as the programs themselves, that caused a buzz around the broadcasts. There was a thrill in knowing that millions of others were watching the same show at the same moment. Sponsors' ads were a small price to pay. Today the Super Bowl, the Academy Awards, and one-off events such as the Obama inauguration are among the few remnants of the big, shared experience in broadcast. One could even argue that the events of 9/11 were the first such shared experiences of the twenty-first century. Audiences have long since been scattered in a thousand directions by the explosion of multiple channels, TiVo, time shifting, and new media. Life is completer in a Chevy. Times were good for postwar consumers, who could afford cars and were now demanding better roads to connect them with distant cities. Governments obliged with bigger, faster highways. Advertisers seized the opportunity to reach landscape- weary consumers. But they broke the contract. For more than a generation, advertising had been tolerated in broadcast— in exchange for The Shadow, The Great Gildersleeve, and The Ed Sullivan Show— and readers accepted that box ads kept newspaper and magazine subscriptions affordable. But highway billboards? All they offered was an interruption of the experience highway driving was meant to provide. It was as if the Rocky Mountains, the wheat belt, and the rugged ocean coasts were "brought to you by" Morning Treat coffee, Coca- Cola, and Champion spark plugs. It's worth noting that while there have been many creative billboard campaigns, some in particular have endeared themselves to highway travellers—and to many others who never laid eyes on them. Back in the 1920s, three decades before billboards began towering over superhighways, a small company in Minneapolis was marketing an innovative new product: a shaving cream that didn't need to be mixed into a froth with a mug and brush. The formula supposedly originated with a sailor based in Burma— hence the name Burma-Shave. It was a big idea, but with no significant marketing budget. Company president Clinton Odell was approached by his son Allan with an idea for some roadside signs and a request for two hundred dollars for wooden planks and paint. The family brainstormed a series of road signs, in series of four and spaced about a hundred feet apart, to be read in sequence. That way, motorists hurtling past— at, say, thirty- five miles per hour— would read each series of signs in about nineteen seconds. Farmers were paid anywhere from $5 to $25 a year to allow the signs to be put up in their fields. At the peak of the Burma- Shave campaign, seven thousand signs were placed in forty- five American states, and the pithy verse on those billboards gave Burma- Shave a special place in modern advertising lore. Delighted motorists probably imagined an army of workers conceiving and placing those signs all over the country. Few realized that the "army" consisted of just eight vans, owned by a company that never employed more than thirty- five people. Ironically, it was the era when billboard advertising took off, in the 1950s, that the Burma- Shave campaign declined. Larger, faster highways attracted big- money advertisers, whose billboards had to be higher, bigger, and placed farther apart to be seen by the faster- moving traffic. When Philip Morris bought out the Burma- Shave company, it ended the famous campaign, and the last Burma- Shave signs came down in 1966. Without the power of the signs to sustain it, the brand soon dropped off the public's radar, but this landmark campaign, run on a shoestring budget, ranks twenty- third on AdAge magazine's list of Top 100 Advertising Campaigns. And in popular culture, it's regarded with fond nostalgia: ads that gave viewers fun, funny, surprising diversions during long roadtrips: certainly enough to honour the contract. Decades earlier, in the 1890s, Mail Pouch Tobacco murals first appeared on the sides of barns throughout America's Midwest. Though they predated Albert Lasker's contract by three decades, they were done in the same spirit. The company offered to paint farmers' barns: but in lieu of cash, they would paint one side with an ad for their tobacco in large letters. Farmers might even receive a dollar or two per year for the privilege. Through the decades that followed, Mail Pouch murals became part of the landscape, many the work of one Harley Warwick, who reckons he painted twenty thousand barns in his time. When America's Highway Beautification Act passed in the 1960s, advertising restrictions specifically exempted the Mail Pouch barns, citing them as historic landmarks. Time has a funny way of transforming yesterday's ad clutter into today's prized artefacts: look no further than Coke memorabilia on eBay. Or consider the story that unfolded not long ago in Jamestown, New York (known to trivia buffs as the birthplace of Lucille Ball). Workers there uncovered a billboard, ten feet by twenty- six, advertising a local appearance by Buffalo Bill Cody. The city arts council sprang into action, gathering remnants and photographing portions of the poster before wind and exposure took their toll. It's hard to imagine a team taking the same care to save a 2009 poster pitching a McChicken Sandwich. Of the many, many, supremely annoying aspects of telemarketing, perhaps the most infuriating is that it works. The Newspaper Association of America notes that telemarketing sales accounted for 60 percent of home subscriptions. It's a low- overhead, low- yield, in- your- face ad medium, second only in its intrusiveness to door- to- door salespeople. The Internet is rife with anecdotes, rants, and audio recordings that chronicle the cat-and-mouse relationship between telemarketers and wary consumers, and consumer laws promising protection from unwanted telephone solicitations run the gamut from useless to inadequate. All in all, telemarketers neither observe nor recognize the contract: they simply interrupt your dinner, feed you a script, and content themselves with a single- digit success rate, offering nothing but a sales pitch as you stare longingly at the chicken Kiev cooling on your plate. Popularized in the seventies, telemarketing dates back to at least the fifties and an outfit called DialAmerica Marketing. These days, it falls into three categories: inbound calling, where a marketer receives calls from its customers who have questions or gripes; outbound calling to existing customers, where your bank, for instance, might call you, trying to sell you a service or program; and the dreaded outbound cold call. These last are the scurrilous wags who ring you up, hoping your need of replacement windows outweighs your desire for a quiet meal with your family. I dislike telemarketing because it breaks the contract, disrespecting the customer and interrupting without apology. It breaks all the rules of good marketing, which is to say it isn't pleasantly surprising or polite or humorous or meaningful. Telemarketers make no attempt to build a relationship with their clients, nor do they try to live up to that hallmark of good advertising: offering something in exchange for the customer's time. Telemarketers don't give you anything. They just call to take. It seems inevitable that advertising would seep into North American movie theatres. A captive audience of like- minded people (likeminded in their choice of movie, at least) is worth a lot to theatre companies, who began selling their audiences to advertisers in the late 1980s, when the first North American ads appeared on big screens. Theatre companies have insisted that advertising helped subsidize admission prices, the way print ads keep subscription fees down. Theatregoers have argued that the price of admission should buy them an ad-free environment. Their case is a good one. So many of the great movie theatres— many dating back to the early 1900s— were as plush and palatial as the finest concert halls, and film going was an all- evening experience, which might include a cartoon, a short film, a newsreel, a "B" picture, and the main attraction. By the 1970s, when a new wave of Hollywood icons, including Spielberg, Lucas, and Coppola redefined "blockbuster," theatres recognized that there was more money to be made attracting larger numbers of people to a wider variety of films. The moviegoing experience shifted from quality of theatre to quantity of screens. In cities and towns across the continent, the great movie palaces were divided into two, three, even six, smaller theatres. Shorter features and "B" pictures had vanished, and daytime showings were added. Seeking new ways to increase revenues, theatres looked to Europe, where cinema ads had long been a fixture and where, historically, they haven't been regarded with the same irritation. (In North America, drive- ins featured ads designed to boost sales at the snack bar, but otherwise, most audiences were protected from ads for anything but "Coming Attractions.") I talked to a colleague in the U.K. about the theatre-ad phenomenon in Europe, and he sent me back a treasury of useful information. For instance, studies show that ritual is an important aspect of moviegoing, which is cherished as a shared experience, and in Britain, where cinema ads have been accepted, even embraced, for many years as part of that ritual. But there's a catch: British audiences expect to be entertained by the ads. Although some North American cinema ads are lovingly constructed for theatre audiences, the majority suffer from entertainment deficit. Many, in fact, are only TV ads recycled for the big screen, and they wind up looking like . . . just that. Two key insights emerged from my chat with my colleague across the pond: one is that cinema ads featuring strong soundtracks and humour stand out; the other is that consumers believe cinema advertisers are special, and the brands publicized in movie houses are more successful. But can North American cinema ads build up that sort of reputation? Their window of opportunity is closing fast. Many of those drive- in snack ads fit the coveted "so bad, they're good" category and have been fondly revived on YouTube. These days the moviegoer has been demoted from welcome guest to mere chattel, whose time and attention are commodified and sold to a growing number of advertisers. Free (but ad- laden) magazines in the lobby promote upcoming films, ads appear in pre- movie slide shows projected onto the big screen, movie times are adjusted to include cinema ads among the "Coming Attractions" trailers, and all manner of product placements might be tucked within the feature film. It isn't the advertising itself that causes movie theatres to violate the contract here in North America. It's the erosion of the moviegoing experience, from an evening focused on giving the audience a hilarious, pleasurable, or cathartic time to a litany of non- entertaining sales devices designed to exploit a captive audience. And for this you pay them. If advertisers are the signatories— and violators— of the contract, "media companies" are enablers, the little devils on their shoulders, tempting them with opportunities to reach new audiences— too often without giving anything back. It's media companies who erect billboards, sell time on TV and radio, and otherwise clutter up public places and airwaves. Their mission is to place ads in as many places as possible: stuffed into the bottoms of golf holes, painted on bicycle paths, projected onto the floors of shopping malls, transmitted to televisions in classrooms. Advertisers, rightly, take the flak; media companies pocket the dough. The media companies' love for ad clutter, and advertisers' contempt for it, are inversely proportional. Agencies hate that you're bombarded with ads, most of which divert your attention from ads for their clients. Media companies build their business on exposing you to as many ads as possible and on the creation of new ad media, each of which adds another stone to the pockets of advertisers drowning in a sea of clutter. Me-di-a com-pan-ies (noun) don't create ads. They buy, sell, and sometimes own the space and broadcast time used for advertising. They might rent out space on billboards they own or buy print space or broadcast time on behalf of advertisers. Many of these companies are creating new media to sell to advertisers, such as the ads in elevators, golf holes, and washrooms described earlier.